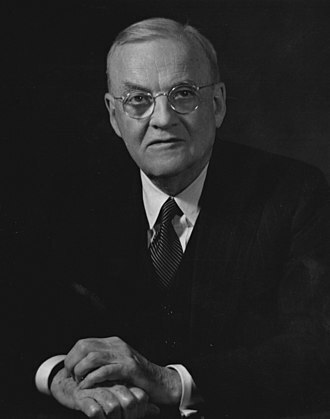 On this day in 1954, U.S. Secretary of State John Foster Dulles announced the policy of “massive retaliation” in a speech to the Council of Foreign Relations. It all sounds terribly like something out of Dr. Strangelove, including the cozy Establishment setting in which he made this potentially highly disquieting announcement. But it had a certain powerful logic. On the surface, the main point was that the United States would rely on its nuclear superiority to deter a Soviet attack on Western Europe. And by emphasizing the overwhelming, asymmetrical nature of an American response, it warned the Soviets not to nibble at the edges and think they could possibly take territory one small manageable crisis at a time. It had a deeper logic too. Dwight Eisenhower, despite being the face of so-called “modern Republicanism”, had a deep streak of the old kind. He wanted to spend less on defence (and did: as John Lewis Gaddis notes in his fine book Strategies of Containment, defence spending fell as a share of the budget from 65.7% in fy 1954 to 48.5% in fy 1961, and from 12.8 to 9.1% of GDP in the same period). Eisenhower was a career military man. But he remembered, favourably, that the United States traditionally had a very small military establishment except during actual wars. And he wanted to cut defence spending for budgetary reasons and also for something approaching libertarian ones. The phrase may have been picked up by countercultural types who had as little use for Ike as he did for them. But it was Eisenhower, the golfing, free-enterprise, corporation-loving, church-going old white guy, who first warned of a “military-industrial complex” gaining undue influence in the United States if it remained on a permanent war footing. Ultimately the strategy even got a more friendly name than “massive retaliation”: It was heralded as “More bang for a buck”. For all that, the policy had a significant weakness. And if it seems odd to find that Eisenhower was a reasonably profound thinker with a distrust of the military and of industry as well as of big spending governments generally, it is positively weird to hear the most lucid criticism of the policy coming from within the Administration and, indeed, from the unshaven jowls of the Vice-President, a certain Richard Milhous Nixon. As he would later express it, in his 1985 book No More Vietnams, “Great nations do not risk nuclear suicide to defend their interests in peripheral areas.” And while Eisenhower’s strategy worked just fine in Europe, and an incipient version probably helped bring an armistice in the Korean War, it was of no use in the Third World. (To his credit, Eisenhower recognized it early; when the French tried to persuade him to use nuclear weapons to bail them out in Vietnam he firmly refused.) It’s also not the case that the strategy kept the American government small, though it did ensure that social programs took the bulk of funding even at the peak of Reagan’s rearmament. On the other hand, it’s not clear what strategy would have brought success for the United States in the revolutionary upheavals in newly decolonized nations in the 1960s and 1970s. And massive retaliation, for all its cold-blooded user-unfriendliness as a phrase and a doctrine, did avoid massive conflicts between major powers. In that sense, it got a lot of bang for a buck. Many policies announced with at least as much fanfare have done far worse.